When the English word God is translated into Japanese, it is generally represented by the kanji (Chinese character) 神 and pronounced kami. However, to avoid misunderstanding, it would be better to think of God, 神, and kami as three separate concepts. “God” is the supreme being of monotheism and is customarily capitalized to indicate the unique nature of the deity and draw a distinction with the multiple gods of polytheism. The written Japanese form, 神, is influenced by the Chinese meaning of the character. Common words in both languages using this character, such as 精神 (pronounced seishin in Japanese), meaning “spirit” or “mind,” and 神経 (shinkei), meaning “nerves,” are related to human mental qualities. Pronounced shen in Chinese, the character 神 carries some divine attributes, but they are of a decidedly low rank and far below those of the highest power in Chinese theology, termed 天 (tian) or 上帝 (shangdi) in Chinese. Japan’s kami were traditionally thought of as anthropomorphized natural phenomena. They included the kami that appear in the Kojiki (Record of Ancient Matters) and the Nihon shoki (Chronicle of Japan), Japan’s ancient records of myth and history, kami that were worshiped in shrines, and everything possessing extraordinary qualities, including the sun, the moon, the wind, the rain, the sea, large rocks and trees, and even some smaller plants, animals, and people. This is how they were defined by the eighteenth-century scholar of Japanese classics Motoori Norinaga. According to Motoori, anything that inspired awe and sensitivity to ephemeral beauty (aware) was a kami. For Japanese people who believe this, their country is a rich natural landscape with kami to be found wherever they turn—in short a kami no kuni or “country of kami.” If this phrase is translated into English as “God’s country,” it can be misunderstood as a fanatically nationalistic expression, but this is not what the phrase actually means. *The Japanese began to think of these elements together as Shintō after Buddhism spread to Japan and they compared the new religion with their traditional practices. Buddhas are living humans who have achieved enlightenment (satori). When Buddhas die, they escape from the cycle of life and death and cease to exist. Kami are a different order of being from ordinary humans, but some kami are the ancestors of humans and can live and die. Buddhas are men, and they do not marry. Kami can be male or female, and they sometimes marry. Buddhists make images and statues of Buddhas and enshrine them in temples, but Buddhas do not live in temples. Shintō believers do not make images of kami. Objects for attracting kami known as yorishiro are placed in shrines, but kami do not live in shrines. Alongside such other forms of advanced Chinese culture as the ritsuryō system of centralized government, astronomy, calendar studies, medicine, and architecture, Buddhism was a tool the ruling class used to secure its power and prestige. Following the introduction of this new set of beliefs, Buddhism and Shintō began to occupy different spaces in Japanese religious life. The Yamato court is thought to have had its beginnings around the third century AD in what is now the Kansai region. It was a confederation of regional forces in which only the clan believing itself to be descended from the kami Amaterasu (the sun goddess) had the right to perform rituals. Forces in other regions revered different kami as ancestors—for example, those in Izumo venerated Ōkuninushi. Myths drawn up about harmonious coexistence of the different forces’ kami supported the formation of the confederation. In the eighth century, the Nihon shoki and the Kojiki were completed. These influential compilations of legend and history positioned Amaterasu as the most important of all the kami and the emperors as her descendants, who alone inherited the right to perform rituals and to rule. As a result, all of the forces outside the imperial line explicitly lost these rights. However, the Yamato government did not proscribe the other kami and set up a monotheistic religion as the people of Israel did when declaring Yahweh to be the one true God. Instead, it gave them positions in the hierarchy under Amaterasu, with cooperation between kami intended to reinforce cooperation between different groups. In this context, Buddhas were notable in that their complete separation from the kami meant that they were not subordinate to Amaterasu. Forces excluded by the emperor’s monopoly on ritual and power following the reform of Shintō were free to adopt Buddhism. These forces were concentrated in and around Yamato Province, now Nara Prefecture, and through inheritance of bureaucratic government positions and landed estates (shōen) had developed into an aristocracy. Most of them embraced Buddhism, built temples, and hoped to be reborn in the Western Paradise. The idea of being reborn as a Buddha after death was a new one and quite different from the tenets of Shintō. By contrast, for the peasants who worked in the estates belonging to the aristocracy, temples, and shrines, their traditional faith in local kami was altogether more familiar and natural than Buddhism. What was the Japanese concept of the afterworld? Some believed that their souls returned to the mountains. Others thought that they went underground to a land of the dead called Yomi or across the sea to a paradise called Tokoyo. There was a vague belief in defilement (kegare) associated with death, and that the dead traveled somewhere far from the settlements where people lived. The emperor worshiped Amaterasu, the various other kami, and his own ancestors. The religious ceremonies of the court were based on Chinese models, but worshiping deceased ancestors as gods was unique to Japan. It was believed that dead emperors became kami after their defilement had been cleansed away in some distant place. By contrast, Buddhism in its original form maintains that people work to attain nirvana, or Buddhahood, through ascetic practices while passing through a cycle of life and death. When people die without attaining nirvana, they are immediately reborn in new bodies to live again; there is no land of the dead and no eternal soul. In other words, original Buddhism and Shintō have entirely different ideas of death. This idea of reincarnation was not accepted in Japan when Buddhism was brought to the country. Instead, the Chinese belief that the dead become demons living in hell entered Japan through Taoism and Buddhism and gradually spread. Buddhism became popular by adapting itself into the forms most acceptable to Japanese people. In the Heian period (794–1185), the honji suijaku theory took hold. This asserted that Indian Buddhas and bodhisattvas (wise, compassionate beings who have not yet become Buddhas) had transformed themselves and arrived in Japan as kami. The idea that kami were Buddhas was generally accepted in the Japan of the Kamakura period (1185–1333). This meant that it did not matter whether people worshiped kami or Buddhas, and it was no longer necessary to distinguish between Shintō shrines and Buddhist temples or between Shintō and Buddhism as religious faiths. From this time until around the end of the Edo period in 1868, Japanese people made no strict distinction between kami and Buddhas. It was thought that if people could become kami when they died, they could also become Buddhas (hotoke). Devotees of the Pure Land school of Buddhism wished to escape the cycle of life and death and be reborn in Amida Buddha’s “pure land,” the Western Paradise. While studying to achieve enlightenment, Amida had vowed that he would strive to have all living things be reborn in this realm, which he reached upon becoming a Buddha. Rebirth in the superior realm of the Western Paradise meant being just one step from Buddhahood and was considered extremely important. The idea that people could become Buddhas after death spread through the doctrine that death could lead to the pure land, which in turn was a stage on the way to Buddhahood. In this way, the following general beliefs held by Japanese people regarding life after death were formed, and they persist today. When people die, for a time their spirits remain to wander near their place of death. After that they cross Sanzu no kawa (the River of Three Crossings) to the next world and become Buddhas (or kami). If they have strong attachments to this world or hold grudges, they cannot attain Buddhahood and instead become ghosts (yūrei). People who have committed wicked deeds fall into hell as punishment and are tormented by King Enma and his demons. The dead return to their homes at the time of the summer Bon festival. Ancestors are given posthumous names, which are inscribed on mortuary tablets placed on family altars. Incense sticks are burned in front of these altars. Despite their longevity, when examined closely, these beliefs are neither Shintō nor Buddhist and are actually contradictory. In the Edo period (1603–1868) the Tokugawa shogunate banned Christianity and required all Japanese people to become Buddhists. Households had to choose a denomination and register with a local temple in what was known as the danka (parishioner household) system. At the same time, however, the role of Buddhist priests was limited; to prevent them from spreading ideas that might represent a threat, they were effectively restricted to performing funeral rites and the like. The shogunate encouraged samurai to study Shushigaku, the Neo-Confucian philosophy based on the teachings of the Chinese scholar Zhu Xi (known as Shushi in Japanese). The study of Zhu Xi’s Neo-Confucianism spread from samurai to higher-ranking townsmen and farmers. The shogunate was apparently oblivious to the fact that its policies of enforcing Buddhism and promoting Neo-Confucianism were inconsistent. Shushigaku denied the existence of both the cycle of life and death of traditional Buddhism and the souls that Japanese Buddhists believed in. Furthermore, the idea that anyone could become part of the ruling class through study contradicted the ranking system of the Edo period that divided people into four hereditary classes, samurai, farmers, artisans, and merchants. By emphasizing the importance of loyalty to the legitimate government or ruler, this Neo-Confucian philosophy led to the emergence of imperial loyalists, who looked up to the emperor rather than the shōgun as Japan’s true leader. This is to say that Shushigaku contained within it the potential for bringing down the Edo period’s ruling system. The author Yamamoto Shichihei (1921–1991) goes into further detail on this idea in his book Arahitogami no sōsakushatachi (The Creators of Living Gods). Shushigaku influenced the fundamentalist thinking of Itō Jinsai (1627–1705) and Ogyū Sorai (1666–1728), who advocated a return to the philosophy of Confucius and Mencius. Their thinking in turn gave rise to Kokugaku or “national learning,” which was based on the literal interpretation of ancient Japanese texts. In his Kojikiden (Commentary on the Kojiki), Motoori Norinaga (1730–1801), the central figure of Kokugaku, reconstructed a Japan without its own written language, as depicted in the eighth-century work, and emphasized that even then there was a government and people were subject to the emperor. He noted that their obedience to the emperor had not been cultivated through the teachings of Shushigaku, but came about through their natural feelings. Thus, the possibility for adopting a form of nationalism based on emperor worship opened up for all Japanese people. The new Shintō movement of Hirata Atsutane (1776–1843) triggered a great change in the way Japanese people thought about kami from the waning years of the Tokugawa shogunate through the early Meiji era (1868–1912). Hirata professed to be a disciple of Motoori, and his study of Shintō led him to proclaim that when people died, they did not become Buddhas or go to Yomi, the land of the dead, but instead became spirits (rei). In particular, those who died for Japan suffered no defilement and became eirei, “glorious spirits,” who would protect future generations. The revolutionary idea that people became spirits after death, maintaining their individuality throughout eternity, leads some to think Hirata had studied the Christian concept of the soul by secretly reading a Chinese translation of the Bible (then banned in Japan). 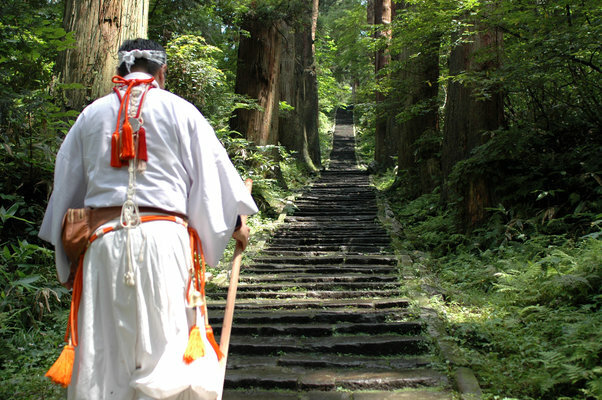 If every human becomes a spirit after death, this meant that even if all Japanese people were required to adhere to Buddhism under the danka system and had Buddhist funerals, they could still also have Shintō memorial services. It thus became possible to enshrine war dead. The imperial forces that established the new government under the emperor following the Meiji Restoration of 1868 used Hirata’s interpretation of Shintō to hold ceremonies and memorialize those who had died fighting for the imperial cause against the forces of the shogunate. 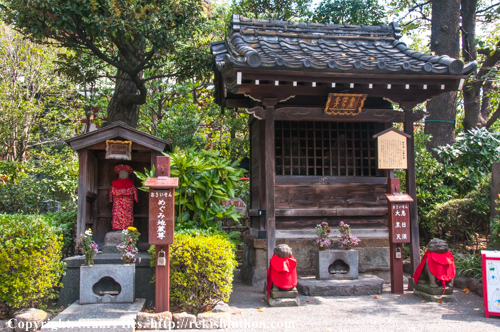 In 1869, the year after the Restoration, they established a shrine for this purpose in the Kudan district of Tokyo, later placing it under the jurisdiction of the army and navy. Here at Yasukuni Shrine (as it was eventually renamed), ordinary people who gave their lives for their country came to be commemorated as kami. The Western media presents Yasukuni as a “war shrine” that glorifies Japanese aggression in World War II, but this is not accurate. It is actually equivalent to a revolution memorial or the tomb of an unknown soldier. Hirata’s version of Shintō and Yasukuni Shrine combined to inspire a modern form of nationalism among Japanese citizens. For this to happen, it was necessary to separate Shintō and Buddhism. Movements to abolish Buddhism or to make a clear division between the two religions were active from the close of the Edo period through the early Meiji era. The new Meiji government ordered that shrines and temples be clearly separated with no toleration of ambiguity. A form of Shintō presided over by the government that would later be known as State Shintō came into being. The Ministry of Education took the position that Shintō was not a religion, but an integral part of daily life for Japanese people and a patriotic duty, forcing the whole population to practice State Shintō. Based on the idea that people became kami after death, a number of shrines were built in the years following the Meiji period. These included Meiji Shrine, dedicated to Emperor Meiji, Nogi Shrine, dedicated to Nogi Maresuke, and Tōgō Shrine, dedicated to Tōgō Heihachirō. Nogi and Tōgō played prominent roles as army and navy commanders respectively in the Russo-Japanese War of 1904–05. There were also a number of shrines dedicated to the local war dead in prefectures around the country. And photographs of the emperor were sent to schools for teachers and students to bow to while facing the Imperial Palace. This was part of education centered on the emperor, who was considered a living god. Following the end of World War II, the Allied Occupation authorities disestablished Shintō as a state religion, and Yasukuni Shrine became a private religious corporation. But the idea of “glorious spirits” and the idea that people become kami after death remained among Japanese people. Given this confused and contradiction-ridden history, I am afraid that Japanese people themselves are not fully conscious of what they believe about kami and would not be able to explain their beliefs to a third party. Successive developments have increased the complexity of defining these beliefs to the point where it is impossible to do so precisely. Next Post 69 Stations of the Kisokaido. Plate 15-Itahana snow.